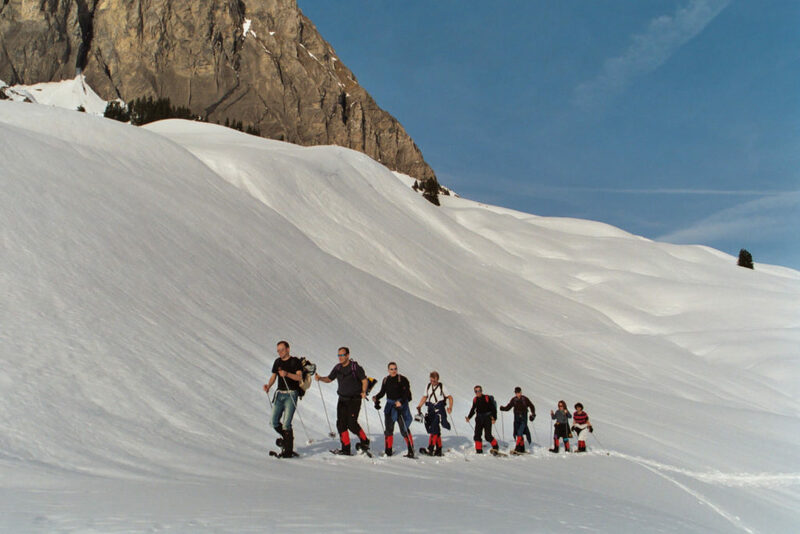 Yeti footsteps in the snow: A winter wonderland in central Switzerland awaits you. We move in quiet regions off the beaten track, a retreat from the hectic every day life. Enjoy the panorama of mountains and valleys and leave nothing but your footprints in the snow. Tell us how much time you have and we organize the rest. Everything is possible: a 2 hour short tour as well as a full-day tour of approx. 6 – 7 hours. Erleben Sie mit Ihrem Team ein entspannendes Winterabenteuer abseits der Hektik und ausgetretener Pfade in einer wildromantischen Landschaft. And there are of course many possibilities to combine your snow shoe trekking with a delicious dinner in an idyllic mountain hut! Ask now for an offer! Phone +41 41 390 40 40 or email info@trekking.ch.